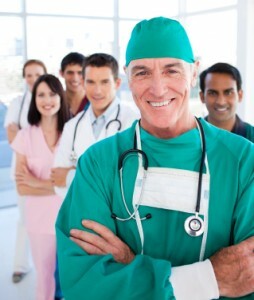 The fastest and most assured way to improve your ambulatory surgery center’s profitablity is to add cases. We are here to help you in your physician recruitment and syndication. In order to add cases you must recruit surgeons that will bring those cases thus in turn helping improve your ambulatory surgery center’s profitablity. When referring to outpatient surgical center syndication or ambulatory surgery center syndication, it is the process of organizing into or administering as a syndicate. A syndicate is an association of surgeons or companies owned by surgeons or management firms, hospitals, etc. formed to engage in an enterprise or promote a common interest, in this case to support the ambulatory surgery center business. Syndication simply refers to a private securities offering of ownership interest in a healthcare company. You run across this term most often in the selling ownership interest in the ambulatory surgery center business, but you can syndicate just about any kind of healthcare company: ambulatory surgery center, medical office building, medical equipment company, etc. Syndications are a way to raise capital and spread the risk of equipment, business and real estate ownership. They typically take the form of a sale of limited liability company units or limited partnership interest although they can also involve the sale of shares in a corporation. Ambulatory Surgery Center Syndication can primarily take on one of two forms: (1) syndication of a “de novo” or start-up ASC; or (2) selling interests in an existing ASC to physician utilizers or potential utilizers. The sale of ownership interests to physicians who bring cases to the ASC is an important factor in determining an ASC’s success and improving your ambulatory surgery center’s profitablity. Selling equity interests in the ASC to physicians who regularly use the facility strengthens their relationship to the surgery center. Also, physician ownership is often a prerequisite to consummating a sale of the ambulatory surgery center. Leading up to a sale of the ambulatory surgery center is another optimal time to syndicate. Adding 100 cases a month of pain to your spine asc could help you receive double digit multiple of trailing EBITDA as we have pointed out in the past and improves your ambulatory surgery center’s profitablity. You can learn more by watching the webinar here. Doctors offering units in an ASC or radiation oncology center must comply with certain federal and state securities laws as well as a variety of limitations, under both federal and state law, on their ability to share ownership with referral sources. To protect investors and assure the stability and integrity of the nation’s public and private market system, the government closely scrutinizes those involved in the sale of securities, requiring them to register and pass corresponding qualification exams. The potential for harm is a real risk, though. Unregistered financial intermediaries can create a multitude of problems for physician-owners seeking to sell or syndicate their centers. If an unregistered intermediary is determined to be “engaged in the business of selling securities for compensation,” that person may be subject to criminal or civil actions or both. The SEC and state securities authorities may bring an enforcement action not only against the registered intermediary, but also against the seller – for aiding and abetting a violation of the registration provisions. Sanctions may include civil penalties, forfeit of profits, with interest, or other court-ordered sanctions. Owners may also face risks from private litigants. The buyer of your ambulatory surgery center or radiation oncology center may have the right to rescind or unwind the deal altogether under Section 29(b) of the Exchange Act. “Almost all states prohibit paying compensation to non-exempt unregistered broker-dealers as a requirement for private offering exemptions. Thus, paying transaction-based compensation to unregistered persons may lead to a claim that the issuer sold unregistered securities with no exemption, and the investor can seek to rescind the investment.”[x] The buyer also may be entitled to damages. To learn more please read The Truth About Selling your ASC or Radiation Oncology Center and Selling Your Ambulatory Surgery Center or Radiation Oncology Center? Don’t Take Chances. Want to syndicate your ambulatory surgery center?